Heading to Portland soon? Portland is one of those cities that you could explore ENDLESSLY. There’s so much to see and do, that it can be hard to craft the perfect Portland itinerary and boil down your must-do’s into a couple of days. 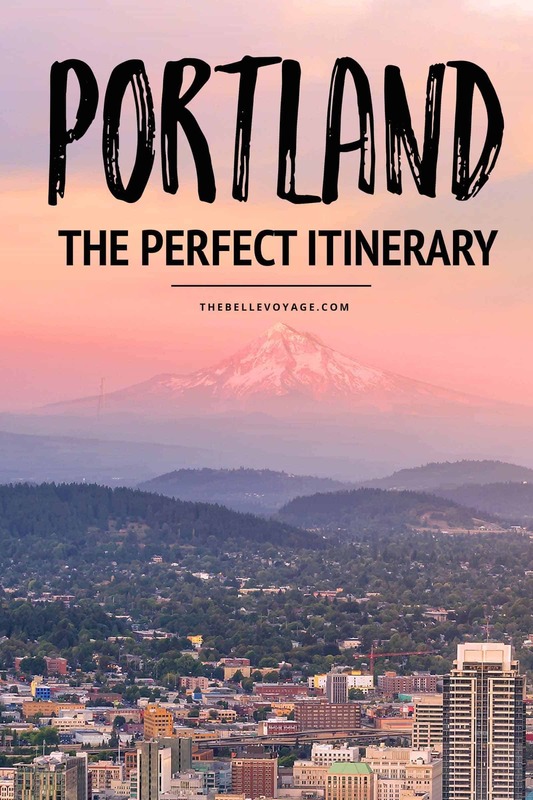 I recently visited Portland, and have put together all of my favorites into one fun-packed itinerary! Oh…and be ready to EAT. Portland has some of the most amazing restaurants and cuisine I have experienced in any city, ever. 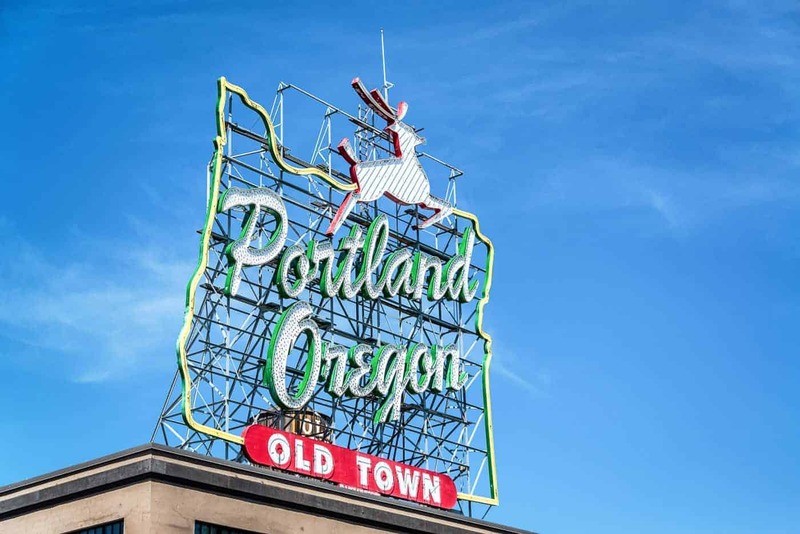 Here’s a great Portland itinerary that will have you falling in love with this quirky city! Make sure you check out this series! It embodies all of Portland’s funky, quirky culture, and it’ll get you in the right mindset for your trip. You’ll also want to check out our shop so you can stock up on our cute travel accessories and products for your trip! I recommend staying at a hotel near the Pearl District of Portland, because you’ll be able to walk to a ton of shops and restaurants, and you’ll also be well-located to venture into other parts of the city. Although there aren’t a ton of Pearl District hotels per se – there are a ton that are located just a few blocks away. The Portland Ace Hotel perfectly captures Portland’s culture – from its decor to its vibe. Another well-located option is the Kimpton Hotel Monaco, which I love both for its chic looks, as well as its daily wine hour (see you there!). Another fantastic neighborhood to stay in is Portland’s Alberta Arts District. There aren’t really any chain hotels near Alberta Street but, true to Portland’s quirky vibe, there are some one-of-a-kind spots to match this funky part of town. My favorite might be the Caravan, the Tiny House Hotel, an enclave of – yep – tiny houses that you can stay in during your trip to Portland. They each have their own look and feel – and there’s really no other accommodation that is so unique to this city. Set foot out of your hotel and make a beeline for a doughnut. Voodoo Doughnuts is a Portland classic, and Blue Star is a local favorite. Check out this map for some doughnut guidance. 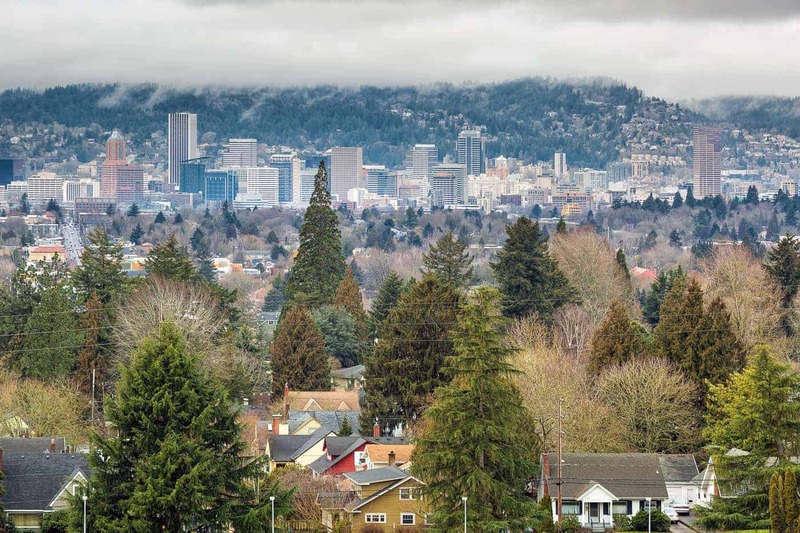 Doughnut in hand, head over to Mount Tabor park, where the view of the city makes for a terrific welcome to Portland! It’s more of a stroll than a hike, but it’s a great way to start your day and orient you to the layout of the city. If you didn’t get enough exercise at Mount Tabor, head back downtown and check out BIKETOWN, Portland’s bike rental program. These orange Nike bikes are available throughout the city and you can rent them for a single ride, or for the day. Starting at $2.50/ride and $12/day, they’re a very affordable way to explore the city. Check out this map to see where they’re located. I recommend riding along the waterfront trail for beautiful riverside scenery. No Portland itinerary would be complete without a pit stop at a food truck. The hardest part will be picking which one! Check out this map (and this one, too) for some suggestions. Personally, I recommend the Dump Truck, a food truck dedicated entirely to dumplings. YES! Now that you’ve had your food truck fill, Spend the afternoon exploring the Pearl District in the heart of the city. Once home to industrial warehouses and railroad facilities, the Pearl District has undergone a complete transformation in the past several decades. Now, you’ll find high-rise condos, upscale shopping and dining, art galleries, and well-manicured townhomes. 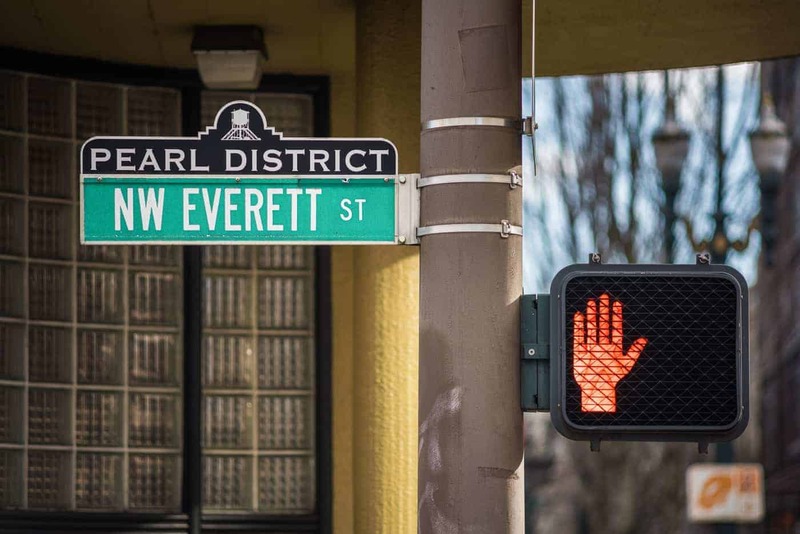 The streets of the Pearl District are fun to wander – soak in all of the unique architecture and history of the area. Don’t miss Powell’s City of Books, the world’s largest independent bookstore. There’s a few locations in Portland, but the one in the Pearl District is huge! I truly could’ve spent all day there. If you’re a book-lover, you’ll be in heaven, but even if you’re not – it’s still worth a stop. There are also a ton of cute boutiques in the Pearl District. My favorites were House of Lolo and Lizard Lounge. Hunt and Gather is an adorable home decor and gift store – I literally wanted everything in it, but managed to cull my desires down to two cute picture frames! You also just might fall in love with Porch Light and everything in it – but I’ll let you decide for yourself. Souvenirs in hand, head over to Departure or Portland City Grill for an evening drink, and to watch the sunset from these rooftop favorites. Once the sun sets, wrap up your first day in Portland with dinner at Irving Street Kitchen for creative, modern dishes, or the Mediterranean Exploration Company for group-friendly eats. 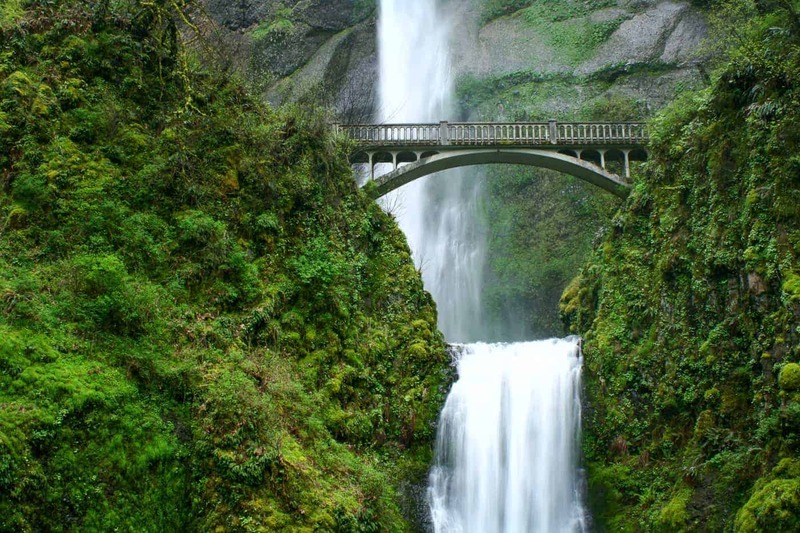 Get an early start on the second day of your Portland itinerary by renting a car and making the quick 40 minute drive to Multnomah Falls. Early is key here since this popular spot (along with its limited parking lot) gets crowded quickly as the day goes on. Another way to beat the crowds is to hike the ~2 miles up to the top of the falls. The crowds thin quickly as the trail snakes up the hillside, and you’ll be rewarded with beautiful views and the opportunity to cool your feet off in the river up at the top. On your drive back in to town, park near Stella Taco on Alberta Avenue, which is on the east end of the Alberta Arts district. Fuel up with tacos and margaritas (don’t miss the queso dip….and I admittedly think about the carnitas tacos OFTEN) before exploring westwards on Alberta. Alberta Avenue is full of cool boutiques, independent art galleries, and some of Portland’s very best food. Not in the mood for tacos? Locals also love Pine State Biscuits (there’ll be a line but it moves quickly), as well as the Waffle Window. If you have a sweet tooth, Salt and Straw has incredibly unique ice cream flavors, and it’s mouthwateringly delicious. Whatever you decide to chow down on, you can’t miss the murals that grace the walls of Alberta Ave. The street art in this part of town takes it to another level! 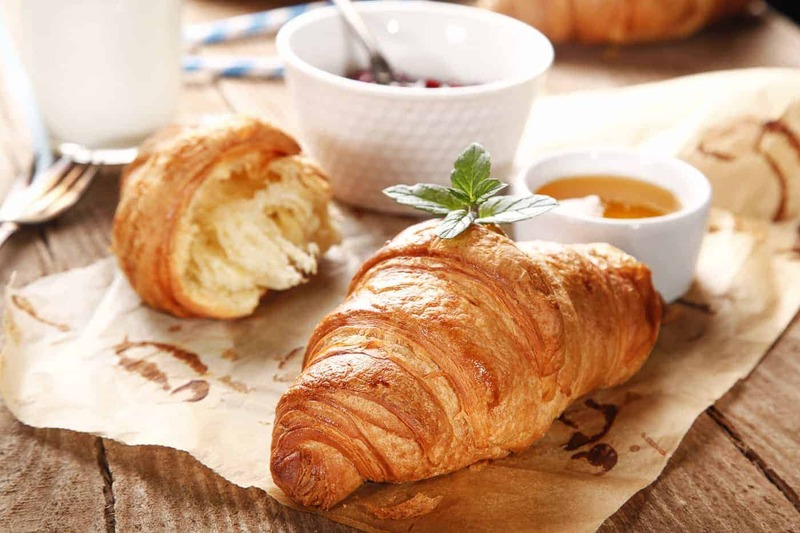 As a bit of an aside, if you happen to find yourself in need of breakfast on Portland’s Alberta street, I would hands-down recommend Petite Provence. Their specialty brunch dishes are unreal, and the croissants are the most delicious ones I have ever had outside of France! They also have about 15 different flavors of mimosas (yes, please!) including lavender, Hawaiian and Prickly Pear. If you can’t decide, you can order a flight of four mini-mosas in four flavors of your choice. Hands-down, my favorite breakfast restaurant on Alberta. After getting (more than?) your fill at the Alberta Street restaurants, grab some caffeine to fuel up for the rest of the day at Barista, home of the most incredible Vanilla latte I have ever tasted. I could honestly live on them! Coffee in hand, head over to NW 23rd street, which is another fun drag in town. Home decor shops, clothing boutiques, cafes, and just general Portland charm fill this cute street. I loved Margaret O’Leary for cozy sweaters! In case you missed Salt and Straw on Alberta, there’s another location here, too. Portland has a HUGE craft beer scene. I’m not a big beer drinker, so I didn’t include any of the local breweries in this itinerary, but check out this post for some great recommendations. One spot I definitely recommend though, is 10 Barrel Brewing for a taste of some local craft beers, paired with a rooftop seating area that’s perfect for warm summer evenings. Grab some bites to go with your beer, or if you’d prefer another nice dinner, nearby Andina is a great option to wrap up your time in this gem of a city! There You Have it, The Perfect Portland Oregon Itinerary! 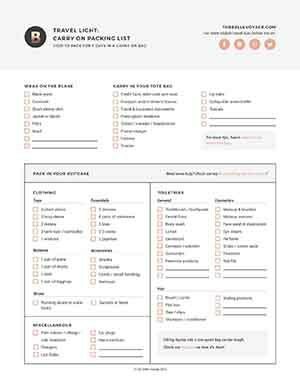 Looking for More Perfect Itineraries? Check out my travel guides to Chicago, San Francisco , Toronto and Los Angeles!